‘The humming bird’ and the ‘Blue Heron’ square pine log cabins situated on the Park’s beautiful lakefront, near beach and games area. 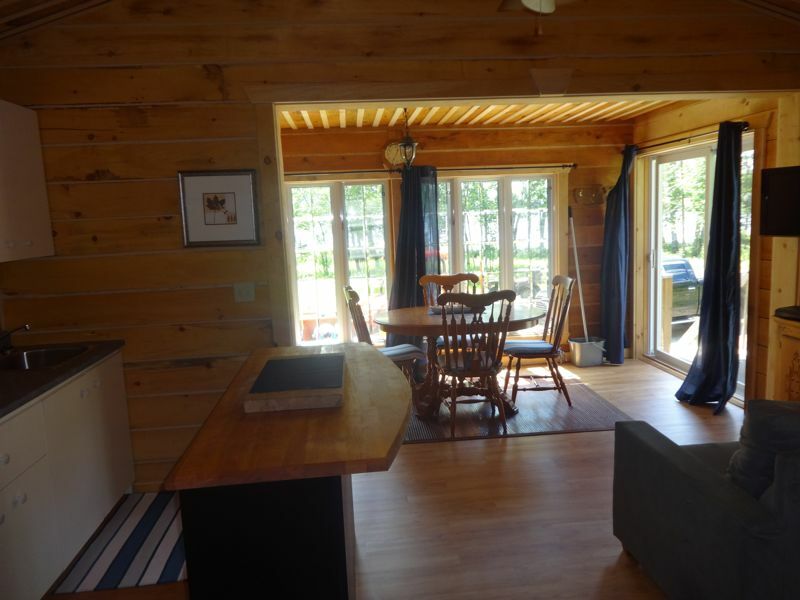 Each cabin has two small bedrooms that can accommodate 2 to 4 adults or a family of 2 adults and 4 children. Perfect for a romantic weekend!